Image Size: 530mm x 440mm (image size does not include paper border, mount and frame). Format: Giclée Print, [ed. size 950] on 310gsm thick 100% cotton rag. Hand-numbered and hand-embossed. Price: £225.00. Watercolour on paper, 1939 A wonderful example of his chalk figure paintings. 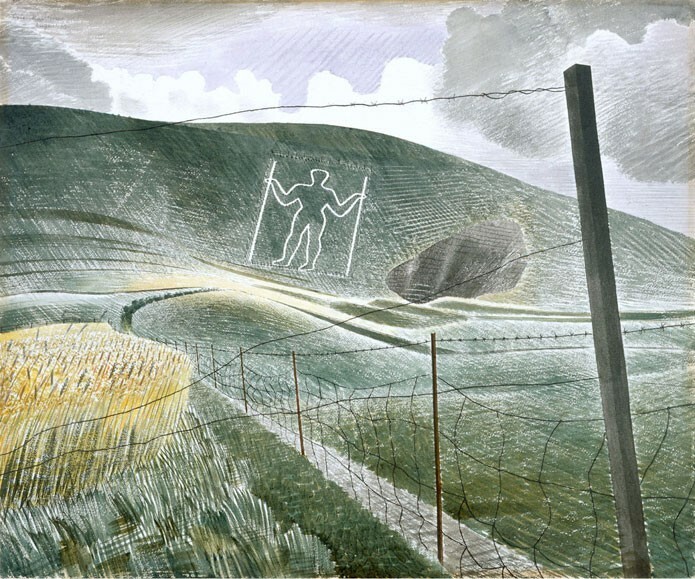 The location of this painitng is Wilmigton in the South Downs, Sussex.